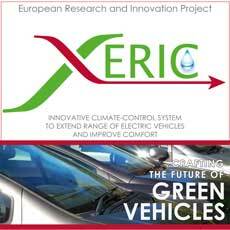 XERIC is a European Research and Innovation project. 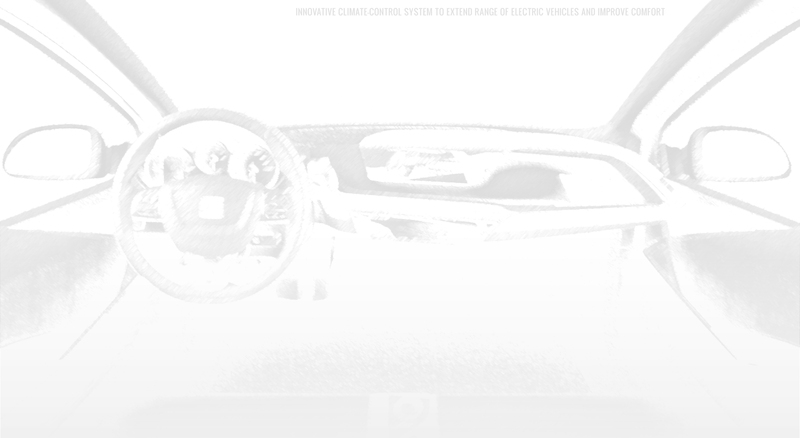 Its objective is to develop an energy-friendly climate-control system capable of reducing at least 50% the energy used for passenger comfort throughout the year (i.e., heating, cooling and dehumidifying). 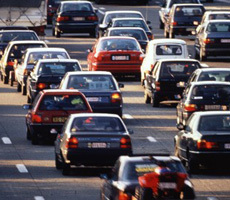 • cost between 1200 and 3000 € per vehicle. of electric vehicles in all weather conditions. With current technologies, air is dehumidified thanks to climate control systems based on a vapor compression cycle which cools air below its dew point. Alternatively, desiccants can be used to dehumidify air without cooling it below its dew point. The use of desiccants is an efficient way that allows controlling temperature and humidity independently. XERIC’s partners work to develop a hybrid system integrating the two systems currently used: it will combine a liquid desiccant cycle to operate on latent heat (i.e., humidity control) with a traditional vapor compression cycle to deal with sensible heat (i.e., temperature control). In such a system the vapor compression cycle operates at higher refrigerant evaporation temperature and at lower condensation temperature. The result will be energy saving. This combination is possible thanks to the use of an innovative three-fluids-combined membrane contactor (3F-CMC) that will be developed in the framework of XERIC; the 3F-CMC simultaneously works with air, desiccant solution and refrigerant. dehumidified without reaching its dew point.